It’s safe to say that Catie Randazzo makes her own rules. Dreading her first high school, Randazzo intentionally got kicked out of the private school so she could transfer. 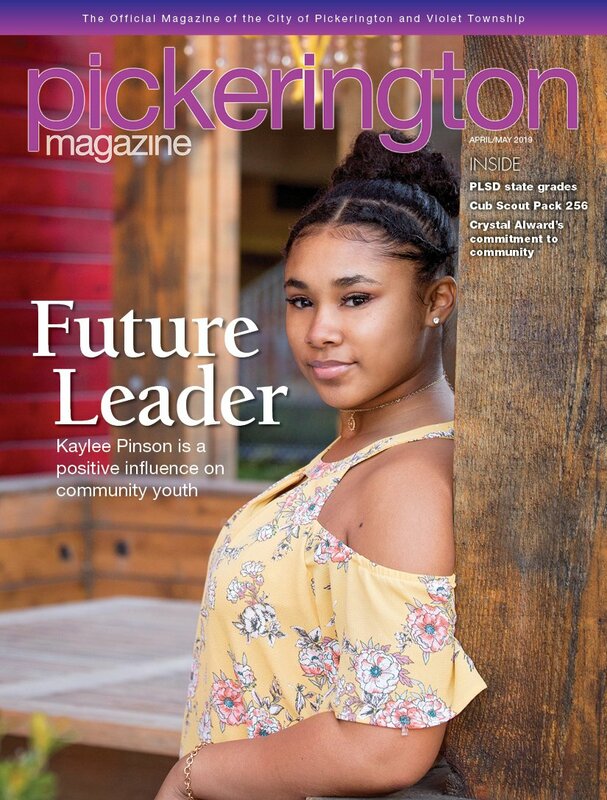 Since her mother was a teacher for Pickerington Local Schools, it made sense to move from Lithopolis to Pickerington for Randazzo to finish high school. Despite some rough patches, Randazzo made it out on top. Now a local restaurateur, Randazzo owns and operates Challah!, a food truck specializing in Jewish cuisine; Preston’s: A Burger Joint, a pop-up based in Grandview Heights; and, soon, Ambrose & Eve, a restaurant in the Brewery District. After graduating high school from the original Pickerington High School, Randazzo wasn’t exactly sure what she wanted to pursue. College didn’t appeal to her, so Randazzo continued working in the restaurant business. After some time, she eventually realized her passion. Even with her go-getter attitude, Randazzo still faced stigma while choosing her path. But that didn’t slow her down. After attending Columbus Culinary Institute, Randazzo began working outside of Ohio to gain experience – first in Portland, Oregon, where she worked under well-known local chef Cathy Whims; and then in New York City at a then-new restaurant. But Columbus was calling her home. Plus, she had a great idea. With her connections and foresight of the food industry’s growth in Columbus, Randazzo knew it would be the perfect city to start her business. Introducing Challah! Exclamation point included. While in New York, Randazzo lived in a Jewish community where challah bread was sold. Wanting to do something different, Randazzo decided to focus her truck on Jewish cuisine. Items like pastrami on rye and biscuits and gravy are served up; everything is made from scratch, excluding the bread, which is bought from Matt’s Bakery in Bexley. Customers can catch the truck in the downtown Columbus area, but Randazzo says she’d be happy to come to Pickerington, especially since her mother still lives here. “We’re definitely willing and would love to come out to Pickerington more often,” she says. Recently, Randazzo is less involved with the food truck, though skilled managers oversee operations. Instead, Randazzo and her recent work partner, Matt Heaggans, are perfecting Preston’s and preparing to open Ambrose & Eve, named after Randazzo’s paternal grandparents. Randazzo says she can start these new goals not only because she worked hard, but because of the Challah! customers, whom she got to know and appreciate. Preston’s, which is named after Heaggans’ grandfather, is currently located in Grandview’s Woodlands Backyard, an entertainment destination with sand volleyball, mini bowling and pool tables. Randazzo says she and Heaggans hope it turns the burger joint into a popular local chain. As for Ambrose & Eve, which will have a seasonal menu, Randazzo and Heaggans hope to have it open by the end of summer and make it the next get-together location. The food served will have a modern Americana style, mainly home-cooked, childhood meals revamped. With three businesses coming together, Randazzo and Heaggans are looking to create a company that incorporates all the delicious creations.